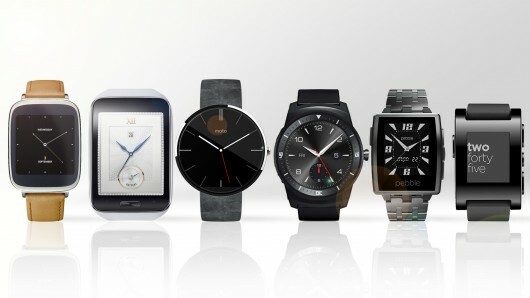 With so many brands on deck, why aren’t we seeing more smartwatches? The advent of connected watches suffers from no shortage of hype, from Apple’s smartwatch being made available for rent, to Pebble Time’s fundraising campaign breaking Kickstarter records, to Casio’s critically acclaimed “watch first” approach. And considering the volume of explainer roundups advising which model to pick, you’d think they’d be everywhere by now. But smartwatches are still fairly uncommon – and though our stream of new updates is seemingly constant – pundits are arguing it’s likely to stay that way for a while. The first reason is that the smartwatch is largely still being marketed as a niche or exclusive product. While there is great variety in the market, both price and style-wise, some companies have been specific in declaring how their models will target certain audiences, which can range from men actively engaged in outdoor sports to professional pilots. On Wednesday, Apple CEO Tim Cook reported most of its products’ sales figures but left out the Apple Watch in the company’s quarterly earnings release, reported The Next Web. The company’s also been uncharacteristically quiet in releasing the Apple Watch, which is now available in more than 16 countries. At the same time, the influx of new entrants to the market in recent months can be overwhelming, especially for average consumers still trying to wrap their heads around the initial concept. This year alone, companies from Tag Heuer to Huawei to Gucci to Guess have thrown their hats into the ring, reported tech news website Pocket-Lint. But none of this can explain the main reason, which is that many people still don’t think smartwatches are worth their price. But the smartwatch market may be doing better than we think. Though Apple declined to give detail, consulting firm Strategy Analytics reported Wednesday that the global market for smartwatches has grown by four and a half times its size in the last fiscal year, with three-quarters of shipments dominated by the beloved iPhone creator, trailed distantly by Samsung. What consumers are waiting on now is a cheaper watch with more reliable Wi-Fi and updates that could eliminate the need to pull out your phone, wrote Mr Perlow.